Cheap flights to Tenerife depart from London, Manchester, Birmingham. There are two main airports on Tenerife, located on the northern and southern tip of the island. UK and EU citizens do not require a visa for a stay of up to 90 days. 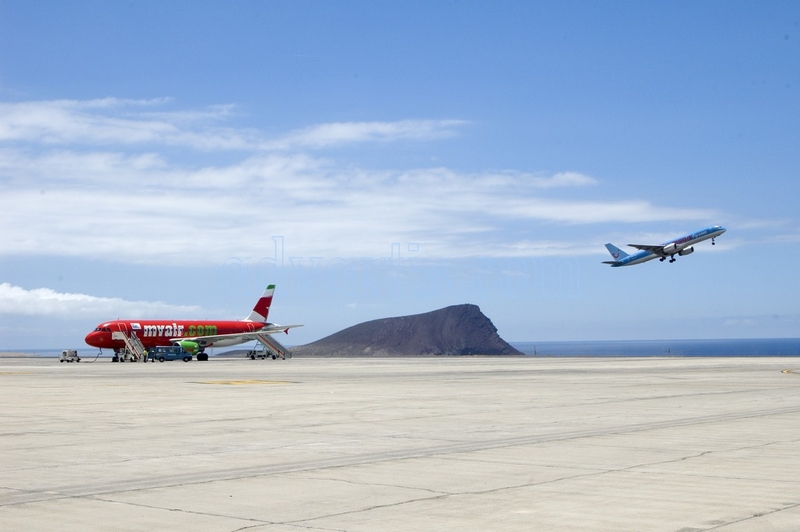 Most flights to Tenerife will arrive at Tenerife South Airport on the southern tip of the island. Taxis can be hired from the taxi rank outside the airport. The TITSA bus company operates services to some major resorts such as Playa de Las Americas and Santa Cruz. Some flights to Tenerife land at Tenerife North Airport Los Rodeos in the north. There is a taxi stand and bus stop outside the terminal. The bus services are also operated by Titsa, and stop at several destinations on the island, as well as at Reina Sofia Airport. The average flight time from London to Tenerife is 4h 15min. London to Tenerife is 1,823 miles. Tenerife is in the same time-zone as the UK. To Tenerife-South: Monarch Airlines from Luton and Gatwick; Ryanair from Luton and Stansted; Thomson Airways from Luton, Gatwick and Stansted; British Airways from Gatwick; easyJet from Gatwick and Southend; Norwegian Air Shuttle from Gatwick; Thomas Cook Airlines from Gatwick and Stansted; Air Europa from Stansted. To Tenerife-North: Iberia Express from Heathrow Airport and Air Europa from Stansted. The average flight time from Manchester to Tenerife is 4h 25min. Manchester to Tenerife is 1,879 miles. Manchester to Tenerife is one of the busiest routes at the airport with a number of airlines offering flights. Daily flights from Manchester to Tenerife are operated by Ryanair, Monarch, Easyjet, Jet2, Thomas Cook and Thomson Airlines. All airlines fly to Tenerife South Airport. The average flight time from Birmingham to Tenerife is 4h 20min. Birmingham to Tenerife is 1,835 miles. Monarch Airlines, Norwegian Air Shuttle, Ryanair, Thomas Cook Airlines and Thomson Airways all fly direct to Tenerife-South Airport from Birmingham. Currently no airlines offer direct flights to Tenerife-North. Tenerife South Airport is located to the south of the island in easy reach of popular holiday resorts Playa de Las Americas and Costa Adeje. Within the arrivals terminal there are small shops, a Café Ritazza and a number of onward travel options. Car hire desks are located within the arrivals hall and a taxi rank is located outside of the airport entrance. Titsa Bus services are available from the airport to key tourist destinations on the island and Tenerife North Airport running regularly throughout the day. A single journey between Tenerife South Airport and Costa Adeje costs around 3 euros. Another option is to rent a car: compare car hire at Tenerife South. See the latest weather forecast and current conditions for Tenerife south airport. The international airport of “Los Rodeos-Tenerife Norte” is located in the north of the island, in the district of La Laguna which is about 10 kilometres from the capital Santa Cruz de Tenerife. One of the two airports on Tenerife, it mainly operates flights between islands and to mainland Spain, although there are some international flights. Every year almost four million passengers use this airport, which can be reached via the TF-5 motorway. There are also plenty of options if you prefer private transport. Private airport transfers can be arranged, and some hotels may offer a free shuttle. If not, you’ll find a a taxi rank outside the terminal. 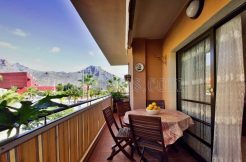 Another option is to rent a car: compare car hire at Tenerife North. See the latest weather forecast and current conditions for Tenerife north airport.